Avery Dennison Corporation announced on May 8 that it has developed a new product line, Supreme Wrapping Film, which is wrapped around a vehicle’s exterior to change the color of the car while protecting the original paint job. As introduced, the new Avery Dennison product line is available in more than 30 colors, ranging from white pearlescent to matte black, orange and grass green, and a variety of finishes and textures, such as gloss, matte and metallic. Supreme Wrapping Film is similar to paint for vehicles and trucks. The vinyl paint wrap boasts a durability of six to 12 years, depending on the finish and application. 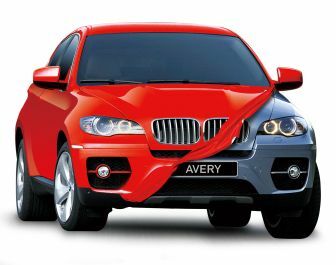 Recently, Avery Dennison has added conform chrome accent film to its line of vehicle wrap products. According to the company, conform chrome provides a shiny, mirror-like finish that is very similar to real chrome but a more affordable option. Conform Chrome can be used to add flair to mirrors, door handles or other accessories on a vehicle.